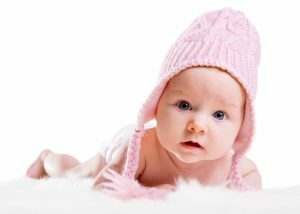 Lots of parents who contact the team at Models Direct wonder whether their baby is suitable for baby modelling. Every new parent will tell you that their bundle of joy is the cutest little baby on the planet, and who knows, they could be right. But what many parents don’t realise is that there is a huge demand for baby models. Joining a baby modelling agency like Models Direct can be a great way to show off your adorable little tyke to the world. The market for baby care products is one that will always remain strong. Regardless of economic conditions, manufacturers of baby care products need to promote their product range in what is a very large and competitive market. Every parent of a young child knows just how many baby care products there are, from rusks and cereals, to nappies and wipes, to rash cream and skincare products, to baby clothes, the list is endless. With baby modelling there is plenty of time for naps and feeds. While starting your baby on a path towards a modelling career might be the last thing on the mind of young parents, a baby modelling photo shoot can be a lot of fun for parents and baby alike. It’s clear from the feedback from parents of baby models that it’s a lot of fun for everyone. From a Baby Model Mother…”I started my baby modelling at two months, and during the teething months she was very noisy and we couldn’t take jobs on. The thing to know is that when your agency contacts you regarding an assignment you can actually accept or decline. I found that the most important thing was having a good portfolio for my child and keeping her pics up to date, that way she was more likely to be selected from pictures rather than having to attend lots of castings”. It’s not so much that parents dream of their little baby becoming a model, just that it’s a great experience all round. The photographers and art directors who run the photo sessions are great at working with young babies and anxious parents, because they’ve done it many times before. The Models Direct team do their very best to put parents at ease, there is plenty of time for naps and feeds, and they love meeting some of the other parents getting involved. The baby needs to be photogenic and it would be also good if they were quirky with plenty of character as they’ve got to have a sparkle about them. Temperament is also important; they’ve got to be good natured and sociable to put up with meeting lots of strangers.